Year 2009 (May/June) Aerials Express color infrared orthoimagery acquired by King County for internal business and agency use only. Pixel resolution is 1.0 foot and coverage is western, urbanized, portions of King County, southwestern Snohomish County and a buffer into Pierce County. 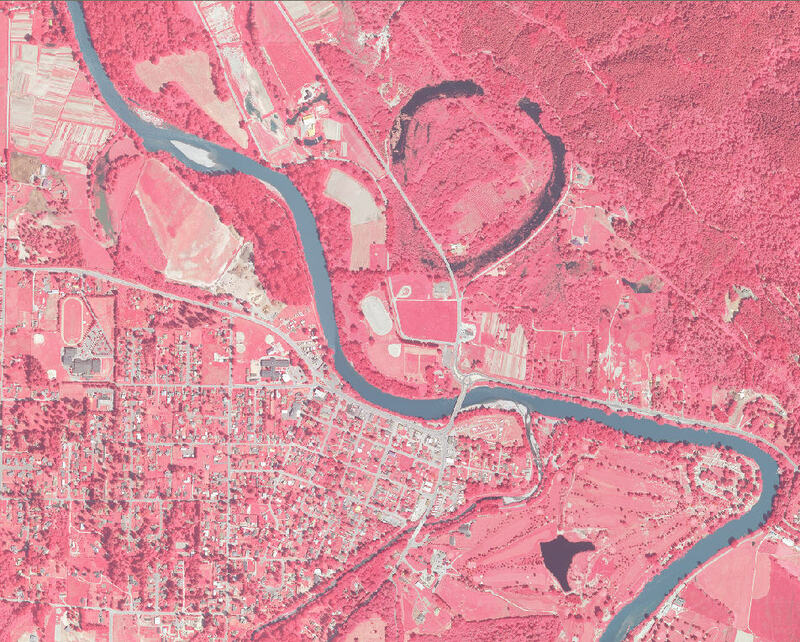 Color infrared orthophoto imagery for King Co and portions of adjoining counties. Imagery has an infrared band in place of the blue band of regular RGB natural color imagery. Imagery can be used for vegetative analysis and for impervious surface classification. 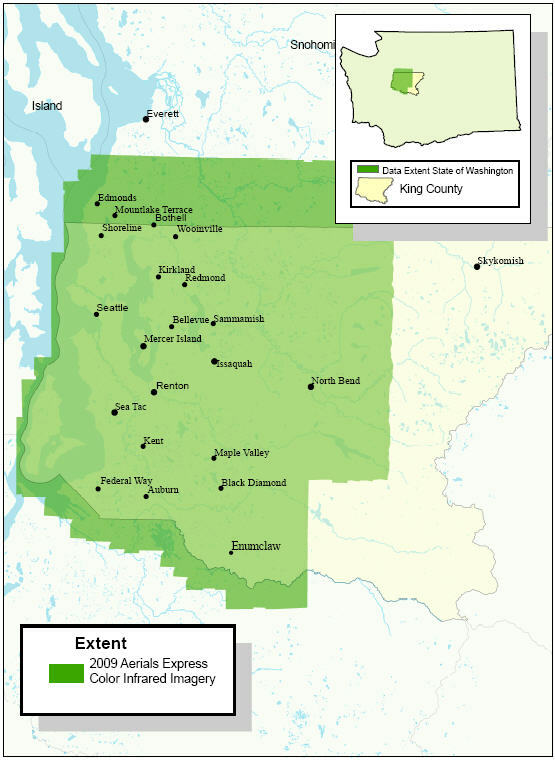 King County digital data may not be reproduced or redistributed in any form or by any means without the express written authorization of the King County Department of Natural Resources and Parks/KCGIS-Center. Imagery and maps created from imagery may not be displayed on public-facing (i.e., internet) websites. Imagery may be used on internally-facing (intranet) websites. Not all 7500 foot tiles and Township-Range tiles along the edges of the project area are complete image tiles. Some tiles contain black (0 - 8 value) bands for portion of the tile area. Data acquired from Aerials Express in January 2010 via portable harddrive. Original delivery did not contain all the required tiles. Aerials Express resubmitted the project area in its entirety in the second harddrive delivery. The data had been tiled to King County's 7500 tiling scheme by Aerial Express. Tiles were loaded to SDW and inventoried. The 7500-ft tiles were built into township SID files (15x compression) using a python-driven MrSid routine. Zone (30x compression) and KeyRegion (75x compression) mosaics were also built. An analysis of 42 control points (all blind) showed a RMS (root mean square) accuracy of 3.5 feet in the X direction and 2.8 feet in the Y direction.